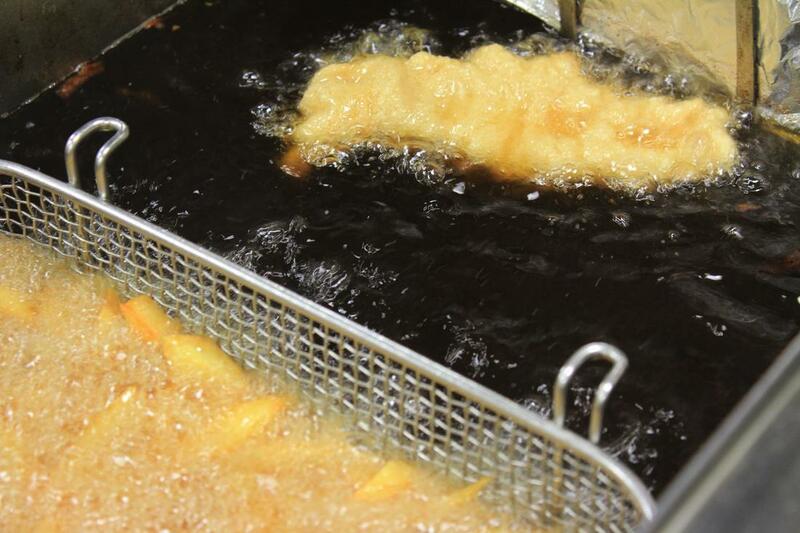 A grease containment system is necessary if you have an exhaust hood system in your commercial kitchen. In addition to providing hood and duct cleaning, our team can help install a proper and efficient rooftop grease containment system. Grease can damage your roof and cause expensive structural issues. Our team is knowledgeable about possible code violations and which containment systems provide the best quality and payoff. Give us a call to discuss available containment systems and all of the associated costs. The importance of a grease containment system is not only to prevent grease fires from spreading throughout your exhaust system, but also helps extend the life of your roof. The lack of a containment system will result in grease and oil building up on your roof, which is detrimental to roofing elements. Many food operation facilities have deteriorated roofs as a direct result of exhaust fan discharge. Neglecting the exterior around your exhaust hood and duct opens up an array of problems, code violations, safety hazards, and expensive repairs. A grease containment system is a preventative measure that can be taken to avoid these issues and problems. Roof membranes may blister, swell, or deteriorate when exposed to oil or grease, which may ultimately lead to roof failure. Grease contamination can even cause any roof warranty to be considered void. Grease contamination can also lead to fall hazards or fire hazards on your roof, or an insect and animal infestation. Various violations are also possible, since water running off grease contaminated roofs may enter sewer systems or nearby grounds, which may violate EPA regulations. Our expert staff can go into detail about all of the possible hazards or violations that may result from a lack of a containment system on the roof of your restaurant or other food industry building. The most efficient way to protect against grease contamination on your roof is to prevent the grease from reaching it in the first place. Before installing a grease containment system, any build up will first need to be removed and the area thoroughly cleaned. One method is to utilize catch pans that are installed under the exhaust hood to catch grease. Catch pans, however, need to be checked and emptied regularly or they may overflow. Some ventilators come with built-in container units, but these systems can be difficult to maintain. An efficient method to contain grease from contaminating your roof is a filtered grease containment unit. These containment units are installed on your roof and utilize easily replaceable filters that are designed to absorb grease, but allow normal moisture to pass. These systems tend to be sturdier and have the ability to withstand many environmental elements. A grease containment system such as this can be easy to install and maintain. Our team can assess your exhaust system and help you decide on the best system available for your needs that will protect your roof and prevent safety hazards.